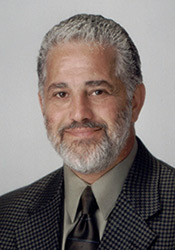 John Halal is the President and Founder of ChemistrySimplified.com. He began his career in the beauty industry as a hairstylist over 45 years ago. Halal is a licensed instructor and former salon and school owner. 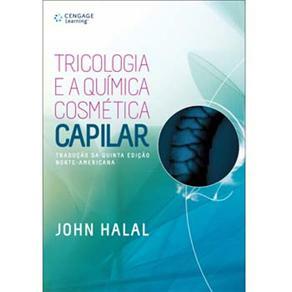 Halal is an affiliate member of the Society of Cosmetic Chemists (SCC). He is a Past President of the American Association of Cosmetology Schools (AACS) and the Indiana Cosmetology and Barbering Association (ICBA). 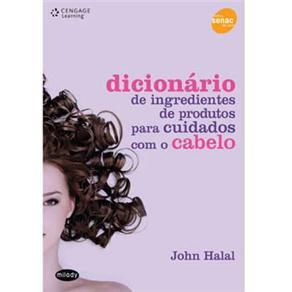 Halal is the author of Hair Structure and Chemistry Simplified and Milady’s Hair Care and Product Ingredient Dictionary. He is also a contributor to the Milady Standard Cosmetology Textbook, and several other Milady publications. Halal received the 2009 Great Clips Industry Leader Award and was chosen as Director of the Year by the American Association of Cosmetology Schools in 2005. In 1998, 1999 and 2000, his salons were selected by Salon Today Magazine as one of America’s Top 200 Fastest Growing Salons. His salon was featured for its Award Winning Design in the July/August 1997 issue of Salon Today Magazine and was selected as the Salon of the Month for February 1989, by American Salon Magazine. Halal’s essay What a Difference a Decade Makes was chosen as one of the Outstanding Call for Presentation Papers at the BBSI’s Cope ’90 Conference in Tucson, Arizona, and his educational presentation received the 1982 award for the Outstanding Educational Program from the Indiana State Cosmetologist Association. Halal obtained his associate’s degree, with highest distinction, from Indiana University. He is a member of The Golden Key National Honor Society and Alpha Sigma Lambda. He has authored numerous articles on a wide variety of topics and has been published in several professional trade magazines. He often travels, as a guest speaker, to address both professional and consumer groups. Two beautiful adult daughters, three handsome grandsons, two terrific dogs and the most wonderful wife in the world. An experienced hair stylist, salon and spa owner, cosmetology instructor, beauty school owner, speaker and author of several textbooks that are used throughout the beauty and wellness industry. A combination of scientific knowledge and practical salon experience provides information about beauty products and services in clear, simple language that is easy for both salon professionals and consumers to understand. 1998 – Indiana University Associate Degree in General Studies with Highest Distinction Member of the Golden Key National Honor Society and Alpha Sigma Lambda. 2012 to 2014 – Director of Education, Tricoci University of Beauty Culture. 2011 to 2014 – President, Indiana Cosmetology and Barbering Association. 1998, 1999 and 2000 – Salon Today Magazine, Top 200 Fastest Growing Salons. 1997 – Salon Today Magazine, John & Friends Salon, Award Winning Design. 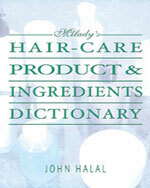 Milady’s Hair Care Product Ingredients Dictionary contains a current and comprehensive list of the ingredients that are likely to be found in hair care products. Milady’s Hair Care Product Ingredients Dictionary uses the International Nomenclature Cosmetic Ingredient (INCI) system, the commonly accepted nomenclature for all cosmetic products, and the name most likely to appear on the Material Safety Data Sheets (MSDS) and the product’s label. Common names are also included with definitions and referenced to the INCI name.